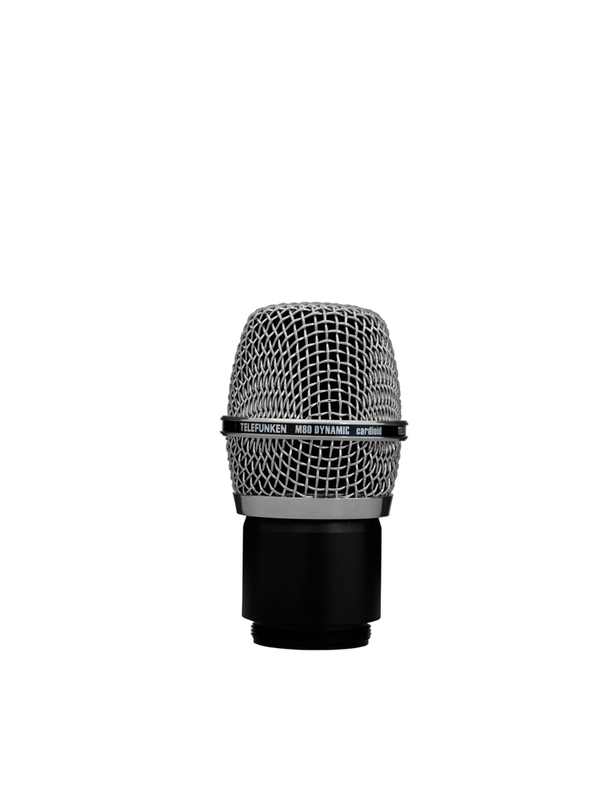 The Telefunken Elektroakustik M80 WH wireless head with chrome grille fits amplifier body of most wireless microphone systems, in particular the Shure product line. Outstanding option and improvement to most stock issued microphone bodies. Extended high frequency response, giving brighter result than standard instrument microphone. Related instrument microphone is the Telefunken Elektroakustik M81.